The premiere episode of Game of Thrones Season 8 certainly had several amazing reunions. 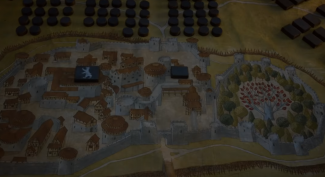 However, no one was prepared for the return of an "old friend" and just how far Bran Stark would go to make sure he is welcomed properly to Winterfell. In Episode 1, the first reunion was decidedly cold as Sansa Stark and Tyrion Lannister spoke for the first time in several seasons. It's evident that Sansa still doesn't trust the Lannisters just as much as she dislikes Jon Snow's new queen Daenerys Targaryen. The reunion between Jon and Arya Stark is certainly more touching but it still ends on a somber note. Arya reminds Jon that family is still important, something that could get complicated in the next few episodes. Theon Greyjoy finally does what he vowed to do in the previous season and rescues his sister. The reunion between Theon and Yara Greyjoy is shortlived as he decided to go back to Winterfell to fight with the Starks. Samwell Tarly also gets a quick reunion with Jorah Mormont but it isn't quite as pleasant as he would hope for. You see, Sam also learns that Dany had killed his father and brother and immediately steps out to find Bran sitting outside in the snow. (We'll get back to that in a bit). Bran tells Sam he should tell Jon the truth about his parentage, which leads to another tense reunion. Sam is reunited with Jon but is also tasked with having to tell him the truth. Naturally, Jon isn't quite ready for what Sam is telling him but it also ensured that Ned Stark kept his word. In the first season, Ned told Jon he would tell Jon about his mother when they saw each other again. It was certainly fitting that Jon learned about Lyanna Stark after he visited Ned at the crypt. And now, we're on to the biggest reunion. Jaime Lannister finally arrives in Winterfell and the first person to see him, the one who was waiting out in the cold all night, is none other than Bran Stark. People couldn't get enough of the reunion, as evidenced in several tweets. We're certainly looking forward to what happens when Bran finally talks to Jaime. 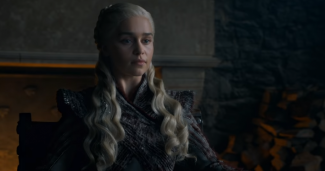 Find out what happens next when Game of Thrones Season 8 Episode 2 premieres on HBO on April 21.